National Truck Driver Appreciation Week is a time to pause and reflect on the importance of truck drivers in keeping the country moving. Our everyday lives depend on you. The food on our table, the clothes on our back, the electronic gadgets in our hands, the construction materials for our buildings, roads, and bridges all have to be transported by truck. Without truck drivers, our world would come to a grinding halt. A truck driver is someone who performs a job that requires commitment, professionalism, safety awareness, and plenty of sacrifices that include working long grueling hours to being away from home and family for many weeks at a time. This week and every week, we appreciate you! Recurring pain, numbness or tingling can signal the beginning of a serious injury. An important part of preventing these injuries is to respond to symptoms early, before they develop into a condition that keeps you from working. A 52-year-old general freight truck driver injured his shoulder and neck after falling off a ladder. It happened when the driver was chaining and tarping a load on his flatbed trailer. He had a rigid ladder set up alongside his trailer for accessing the five-foot high deck. 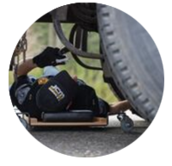 Law enforcement agencies across North America will step up commercial vehicle inspections during the Commercial Motor Vehicle Safety Alliance’s Brake Safety Week from September 16-22. 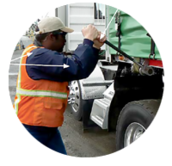 Officers will conduct 37-step North American Level I Inspections that focus on commercial driver operating requirements and vehicle mechanical fitness. Brake Safety Week brings awareness to truck fleets, drivers and mechanics about the importance of performing routine brake system inspections and maintenance. 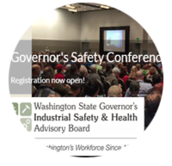 The 67th Annual Governor’s Industrial Safety & Health Conference will be at the Spokane Convention Center Sept. 26-27, 2018. 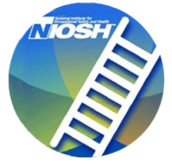 The two-day conference offers training and education on the latest tools, technologies and strategies for workplace safety and health. Each year the conference attracts around 1,000 attendees and more than 300 volunteers from different industries. News headlines remind us every day about the importance of being prepared for hazards such as wildfires, power outages, diseases, and acts of violence. 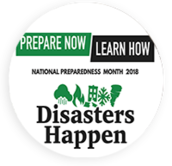 National Preparedness Month, observed each September, encourages Americans to become prepared for emergencies in their homes, businesses, schools, and communities. 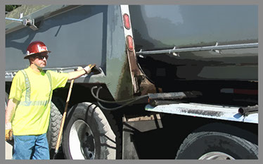 Trucking companies understand that drivers can find themselves in an emergency situation on the road at any moment. Being prepared can minimize the impacts of an emergency on your drivers and business operations. Let L&I’s SHIP grant program help fund your safety idea! Do you have an idea for a unique best practice or safety product that can prevent workplace injuries to truck drivers or help injured drivers return to work sooner? Let the Washington State’s Labor & Industries Safety and Health Investment Projects (SHIP) grant program help with funding. 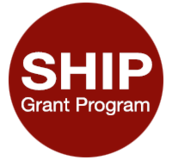 The SHIP program is accepting applications for safety and health grants until September 21, 2018, and return-to-work grants until further notice. Return-to-work grants, which focus on getting injured employees back to work to prevent long-term disability, are in special demand and have no monetary caps. This course teaches prevention of common traumatic injuries in the paving industry. 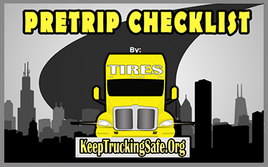 The Trucking Injury Reduction Emphasis (TIRES) project was developed by the Safety and Health Assessment and Research for Prevention (SHARP) program of Washington's Department of Labor and Industries. Subscribe/unsubscribe or modify your account settings. You will need your email address to log in. If you have questions or problems with the subscription service, please visit subscriberhelp.govdelivery.com.